Last week all eyes were on Janet Yellen as the Federal Open Market Committee (FOMC) agreed to end quantitative easing. The highly anticipated move put a halt to the experimental bond purchase program that nearly doubled the Fed’s balance sheet over the past five years to roughly $4.5 trillion. 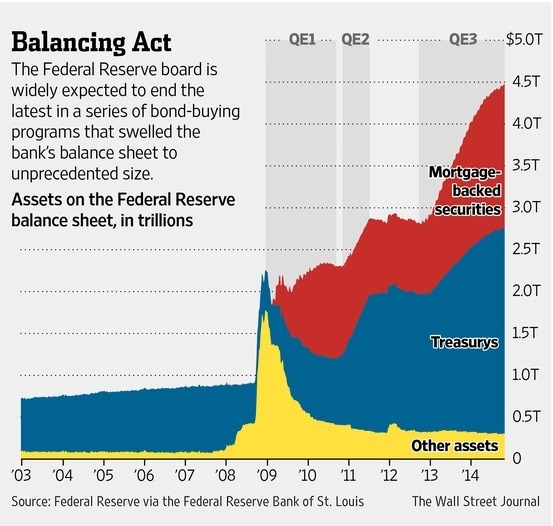 The third round of quantitative easing (QE3) began in September 2012 with $40 billion of mortgage bond purchases each month and was expanded by another $45 billion that December. The Fed began phasing out the program this past January when it also began signaling its plan to end the program entirely in October 2014. In the recent statement, Fed officials said they expect interest rates to remain low until mid- to late-2015. The day after the Fed surprised no one by ending QE3, Japan shocked worldwide equity markets with a blast from its double-barrel, monetary shotgun. First, the Bank of Japan announced the expansion of its monetary stimulus to an annual target of 80 trillion yen (up from the prior mark of 60-70 trillion). Later in the day, the country’s public retirement fund signaled a change in its asset mix to double the allocation of Japanese and foreign stocks. 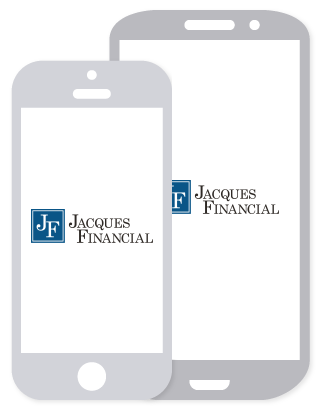 This resulted in over $280 billion of added exposure to worldwide equities, or nearly twice the amount of net inflows to US based equity mutual funds in 2013! This unexpected news sent markets soaring. The S&P 500 rose 2.69% for the week to close at record highs above 2,018. The DJIA jumped even higher at 3.48%, and Nikkei Stock Average jumped 4.8% on Friday alone. The news also sent the dollar 4% higher versus the Yen. The one asset class that isn’t joining the party is gold. Spot prices fell roughly 5% for the week, losing nearly all of this over Thursday and Friday. Interestingly, gold’s increasing weakness comes on the eve of an event that could send it higher. On November 30, Swiss residents are heading to the polls for the “Save Our Swiss Gold” referendum that hopes to establish a rule requiring the central bank to hold 20% of its assets in gold. 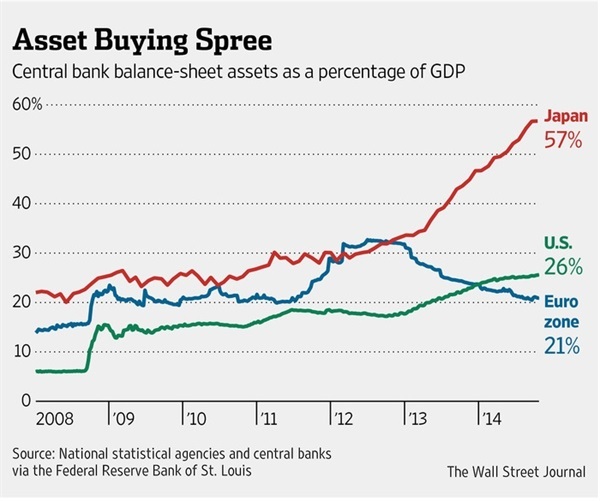 Currently, the yellow metal makes up 7% of the Swiss bank’s balance sheet. If the vote passes, the Swiss National Bank would have to purchase roughly 1,500 metric tons of gold to meet the requirement, or more than half of what the world pulls out of the ground annually. Currently, polls show anywhere between 38-48% of Swiss citizens support the initiative, but this has been falling over the past few weeks. While they have since been quieted, it was hard to turn on CNBC in 2008 and 2009 without hearing a hedge fund manager or Federal Reserve critic shout about the imminent Weimar-like inflation the central bank’s new quantitative easing program was sure to bring. While the Consumer Price Index has been held in check, the length of the FOMC statement has not. Perhaps that’s what they were talking about? 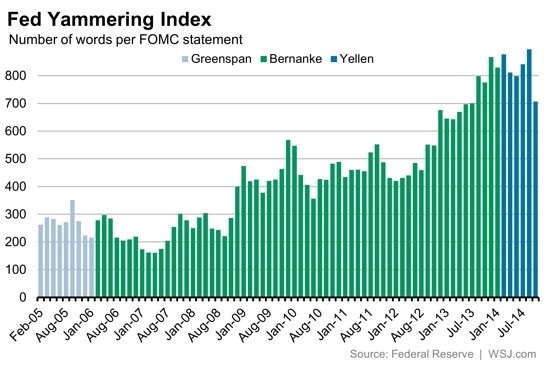 The FOMC statement from December 2008, when Quantitative Easing first appeared, came in at 399 words. Since then, under both Ben Bernanke and Janet Yellen, the length of the committee’s communications has swelled to over 800 words, or about 12.5% annually. The statement issued this past week announcing the official end of QE3 registered just 707 words, the shortest in more than a year.